Our most popular event is back! Who will take home the viking horns and be crowned this year’s Burliest Man and Burliest Woman? Complete all the obstacles the fastest and be the winner. Join in this fun competition for ages 16 and up. You’ll be given a XL sized t-shirt that’s been tied in a knot, dipped in water, and frozen solid. First person to put on their t-shirt WINS! This event is just as much fun to watch as it is enter, so be sure to join us! All ages are welcome for this competition! Who can eat their watermelon the fastest? You can’t leave any pink behind, so make sure you eat those rinds clean! All ages are welcome for this paired competition. Find a friend or family member and get ready to work together. You’ll each hold a popsicle for the other one to eat…and whoever finishes their popsicle first, wins! But eat carefully: if any of your popsicle hits the ground, you’re out! You don’t have to be a master photographer to win our photo contests…we’re looking for the best content, not the best photographer. Photos will be displayed at the Festival and the public will choose the best entry in each category. Voting will be conducted by spare change – the photo that earns the most is the winner! We’ve got fun prizes for each category, so start taking a photos today! You can fix anything with duct tape, right? Take a photo of your best “kludge” and see how you measure up to your neighbor’s creativity. Does your girl have the fluffiest feathers? The most flamboyant feet? The craziest colors? Take a photo of the prettiest chicken in your flock and show her off! 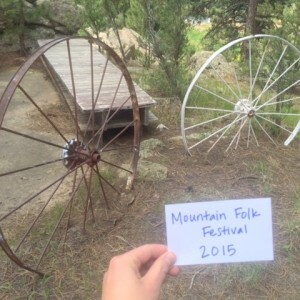 We know what it takes to be one of the Mountain Folk…the craziest items hanging out on your property! An old truck? A porcelain bathtub? A 15 foot tall stack of tires? Instead of taking it to the dump, take a photo and you could win! Please take a new photo for the contest. 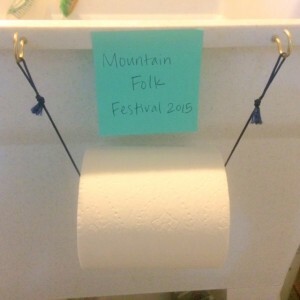 In the photo, please include a small sign that says “Mountain Folk Festival 2015.” Just write the words on a scrap of paper and make sure it’s visible in the photo. Physical copies of photos must be submitted; no digital copies will be accepted. Print-outs of digital photos are completely acceptable – we just can’t print the photo for you. Submit a hard copy of your photo (at least 5″ x 7″) along with your full name, contact information (phone number and/or email), and your submission fee of $1. Mountain men have the best beards, right? 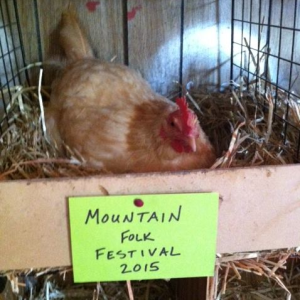 Display the superiority of your whiskers at this year’s Mountain Folk Festival. The contest will be held on stage at the event. Entrant must be present to win. Prizes awarded! Who says the hairy ones get to have all the fun? Enter the fake beard contest with your most over-the-top fake whiskers…men, women, and children are all welcome to enter! Fake fur, yarn, tinsel…it’s all fair game! From snow in July to chilly winter nights, flannel’s an indispensable part of the mountain wardrobe. Show off your best flannel and win! Who makes the best Mountain Brew? Enter our Homebrew Competition to prove your brewing prowess. Beer judging will take place at the Mountain Folk Festival in a closed judging session and the Best of Show Prize will be awarded at the Awards Ceremony. For complete submission guidelines, visit our Homebrew Competition page. To enter the competition, bring your dish to the Festival between 10 am and 11 am. Each dish should consist of at least 15-20 servings. Each serving will cost $1 and all proceeds benefit CCC Park and Rec. Winners will be selected by popular vote! If you are interested in participating as a vendor, email info@cccparkandrec.org for more information.